I have another short review for you and I thought this particular game was unique in a way and this is a role-playing game that is like the games in the 1990s, like the early Final Fantasy games. It is an incredibly different game and I fell in love with it as soon as it started. 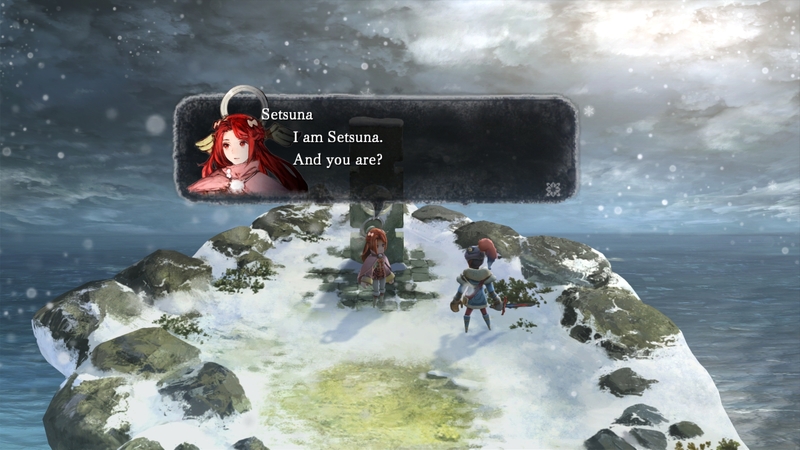 I Am Setsuna starts out in a land covered in winter with a mercenary named Endir, setting out to assassinate the sacrifice, Setsuna but Setsuna convinces Endir to travel with her and other characters in a pilgrimage for her to be sacrificed to appease the demons of the land. 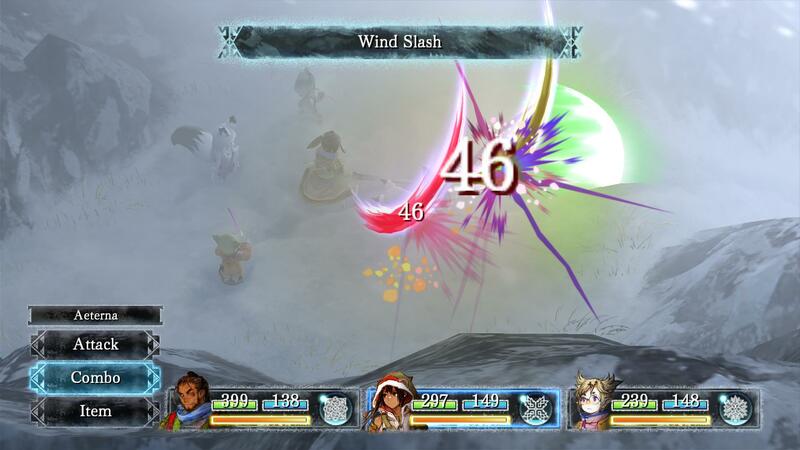 The gameplay is played in an Active Time Battle System, like in the early Final Fantasy series, therefore, you would attack and have to wait for the gauge to fill up to attack again. The enemies have icons and going near the icon will initiate a battle. Each character can equip a “Spritenite” crystal which will give them different bonuses and abilities. Techs are attacks that can link together to form new attacks and combos. Also, the Momentum charge gauge is kinda like a Limit Breaker in Final Fantasy so you can deal extra damage or recover health, depending on the character. There are many towns in this game so you can buy potions, weapons, and armor, learn new Techs, talk to villagers to reveal plot elements, and open treasure chests. Make sure you save often as well because when you die, you start back from your last save point. I Am Setsuna has a very sad theme, I always feel a sense of sadness while playing but the environment is beautiful and the art is gorgeous. This is a video game that I have been waiting for and I say that because I wanted a JRPG with a 1990s battle system and I Am Setsuna definitely cuts the cake. I recommend this to those gamers that are looking for a JRPG with an Active Time Battle System and an incredibly interesting story because I get so immersed in this plot, IT’S JUST SO GOOD!